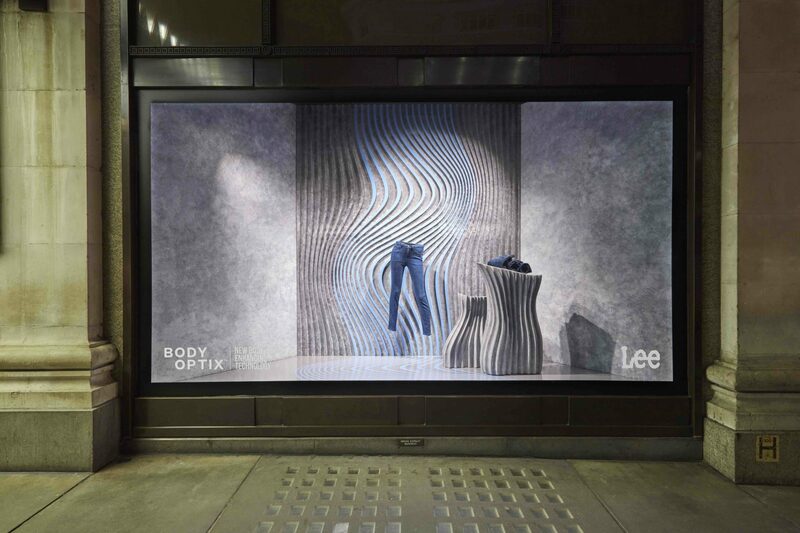 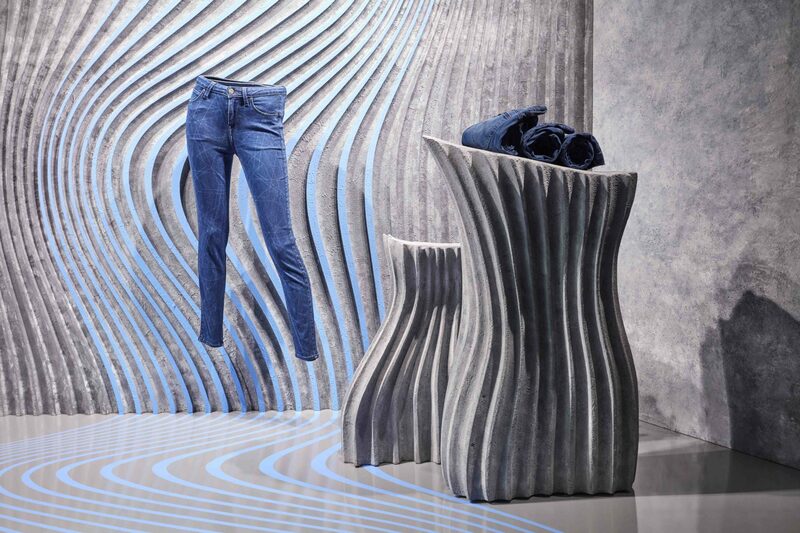 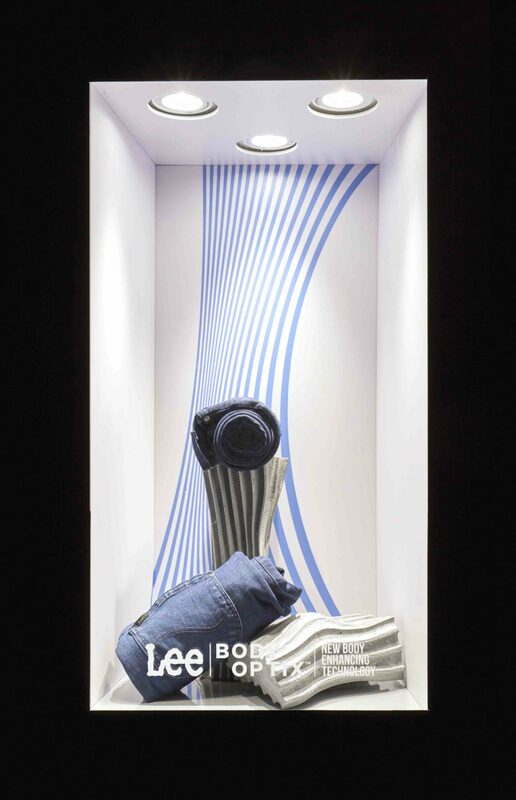 Designed within Sefridges Radical Luxury scheme, the display celebrates the launch of the new BODY OPTIX technology developed by Lee jeans. 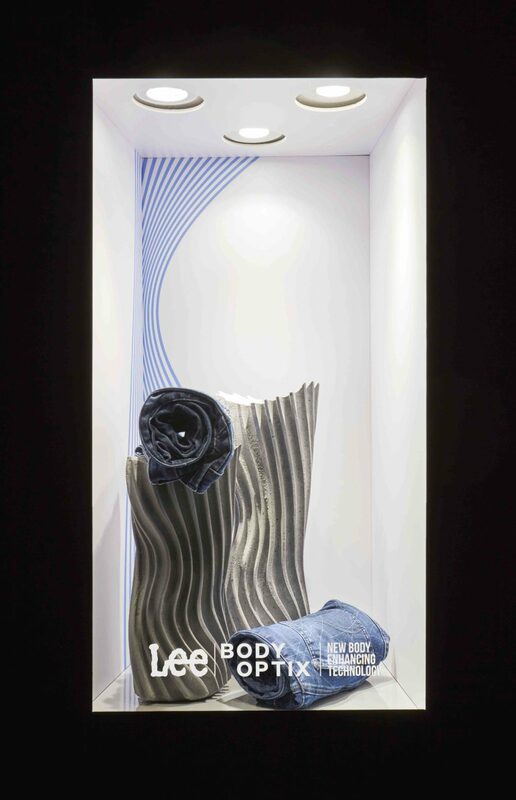 This new laser technology enhances the body form and we wanted to showcase this in an optical environment combining sculptural props and graphical patterns. 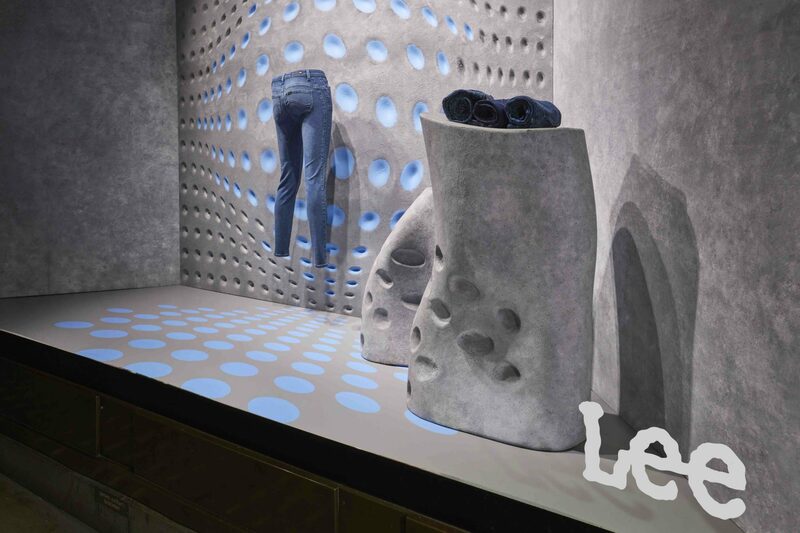 This was an exciting project to work on: designed in a day and produced in a week!